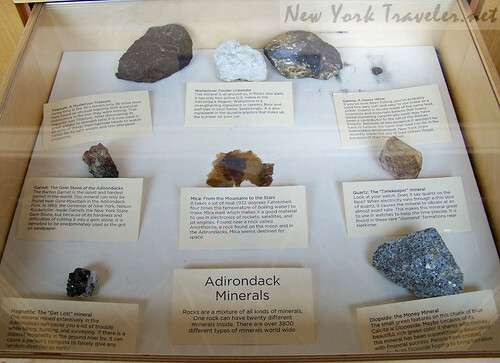 This is the second installment of our fascinating trip to The Wild Center at Tupper Lake, in the heart of the Adirondack Park. Part 1 is here. 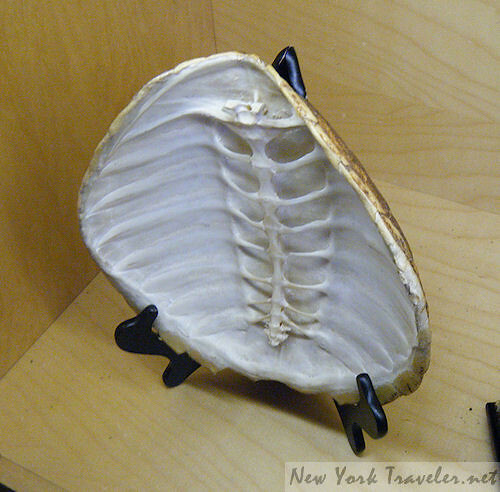 After we explored the glacier display and pond aquarium, we veered off to the side to check out a natural history room. It looked much like a large classroom, with wooden chairs and tables, and big shelves with games, puzzles, and books to explore. 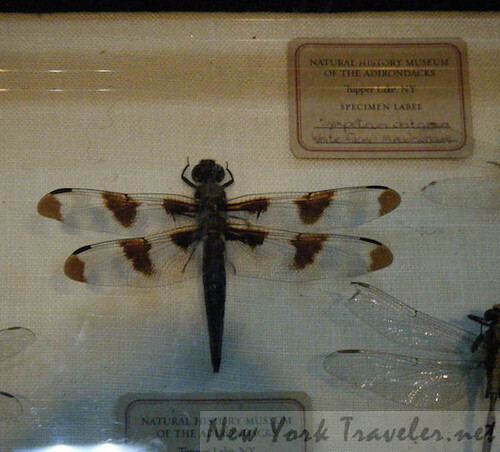 We like to learn about history, even natural history, so we lingered. There are quite a number of native stuffed animals here. 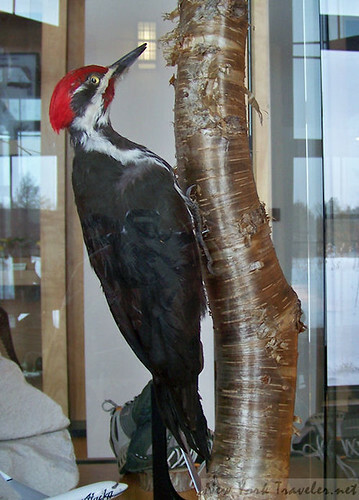 I didn’t know the woodpecker was so large. 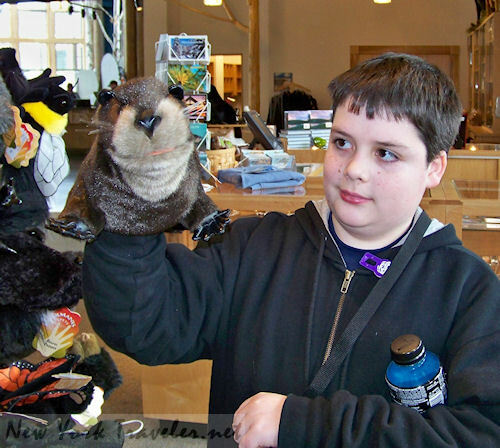 A stuffed beaver. 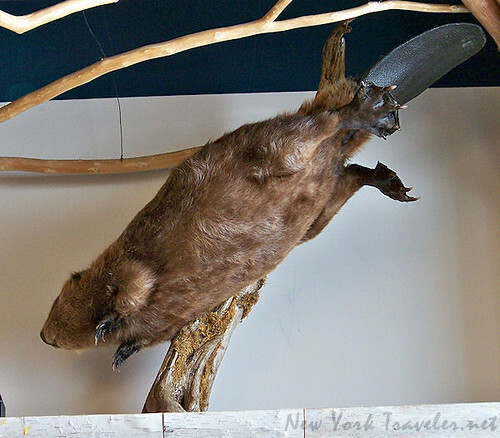 The beaver is New York’s state animal. 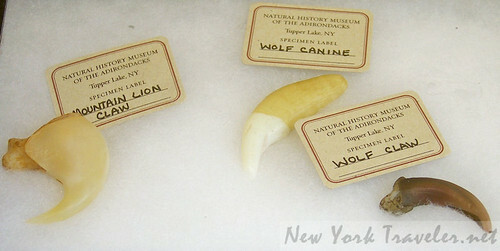 There were many skeletons, claws, and bones of animals in display cases. We can’t forget the bugs, now can we? New York’s most populous inhabitants… the blackfly was strangely absent from any display, but I’m sure they’ll show up (in abundance) come summer. I loved this display. I knew about the titanium deposits (as told us by a terrific blacksmith in German Flatts), but I had no idea about mica. Click the photo and “All Sizes” for a large photo to read the display cards. Very well done! 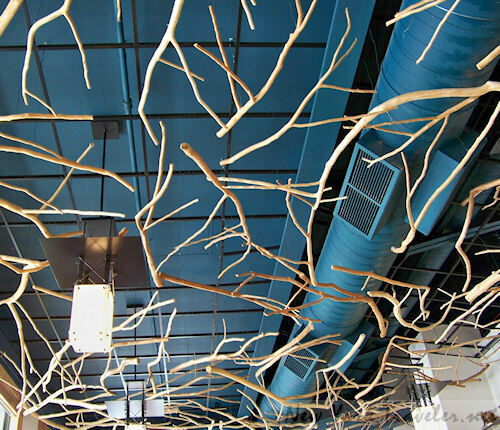 I like to look up at ceilings. This was a pleasant surprise. By the time we finished with this room, it was time to check out a few movies in the theatre. It’s a lovely theatre, with a large panoramic screen. 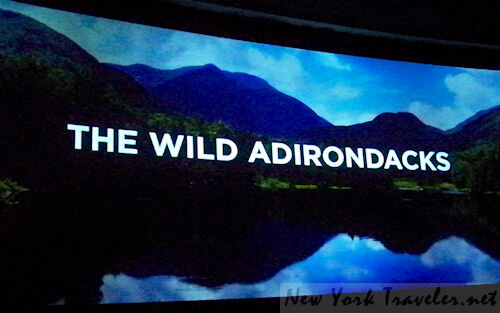 We saw The Wild Adirondacks, a slideshow of photographs by Carl Heilman II. I have seen some of Heilman”s works on the Internet– to see them so large on a huge screen was quite the experience. The music by Lance Day was incredibly moving. The signature short film, A Moment in Time, played after this. It was OK. A lot of the movie was computer generated and it had a lot to do with climate change, glaciers, etc etc. I preferred The Wild Adirondacks. We perused the gift shop items. The kids love this part of any trip. The Adirondack puppets were a big hit. 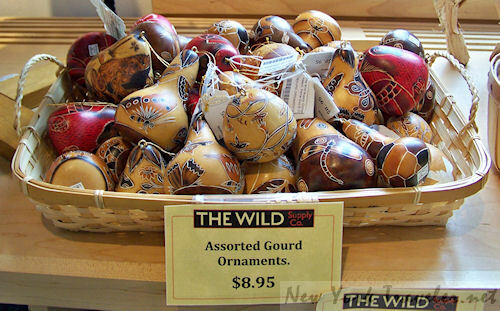 I liked these gourds. Kinda neat. Coming up, the exciting AQUARIUMS! They were my favorite!